Even though it has been raining this week in Seattle, our drought is far from over. According to the state Department of Ecology our rivers and streams are at historic lows and 85% of the state is considered to be in an “extreme” drought. The City of Seattle has asked residents to voluntarily reduce water use by 10%.. For year round conservation here are the most impactful water conservation measures – saving you the most water and money. According to the Seattle Public Utilities, “Leaky toilets, indoor faucets, and outdoor faucets around your home could cost you up to $200 a year on your utility bill, and waste 11,000 gallons of water.” The first step to eliminate that risk is to inspect your pipes, fixtures and especially the parts of your plumbing that you can’t easily see. A professional plumber can do a thorough inspection and plumbing tune-up, plus use a special camera to view inside your underground sewer pipes. While you are at it, have the plumber check out your water heater. Standard tank water heaters only last 8-12 years and can potentially leak or burst. 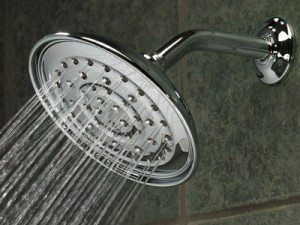 When low flow toilets, faucets and shower heads first came on the market, customers told us that they hated them. The water pressure was too low and showers didn’t feel right. Today’s low flow products have risen to meet these demands for comfort along with water conserving benefits. For example, Toto’s low flow toilets feature a “double cyclone” or dual action rinsing system that increases the cleaning power of the flush, while only using 1.28 or less gallons of water. While Moen’s eco-friendly faucets and shower heads use 30% less water without sacrificing performance. 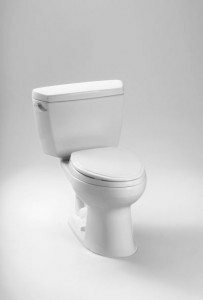 In addition to saving on your water bill, in Seattle, there are toilet rebates up to $75 for WaterSense qualified toilets, such as the Toto Ultramax II, Carlyle II and Vespin II models. Garden watering is definitely a major use of water. This summer many in Seattle let lawns go brown, and hoped the shrubs and flowers could get by with less. An alternative to losing your lawn is having a water efficient lawn sprinkler system. A qualified sprinkler and irrigation specialist can design irrigation systems that will save water while preserving the beauty of your landscaping. The good news is that now those systems can be installed without trenching through your garden. Fox Plumbing and Heating are the Seattle plumbing experts providing plumbing products and services, including low flow fixtures and water efficient sprinkler systems. To get started saving water in your home, contact us.